Come along on a trip to London to play “hide and Squeak” with some very well dressed mice. Each London landmark is buzzing with mice activity and with eight different things to find in each, your tour of London will be full of fun and surprises. 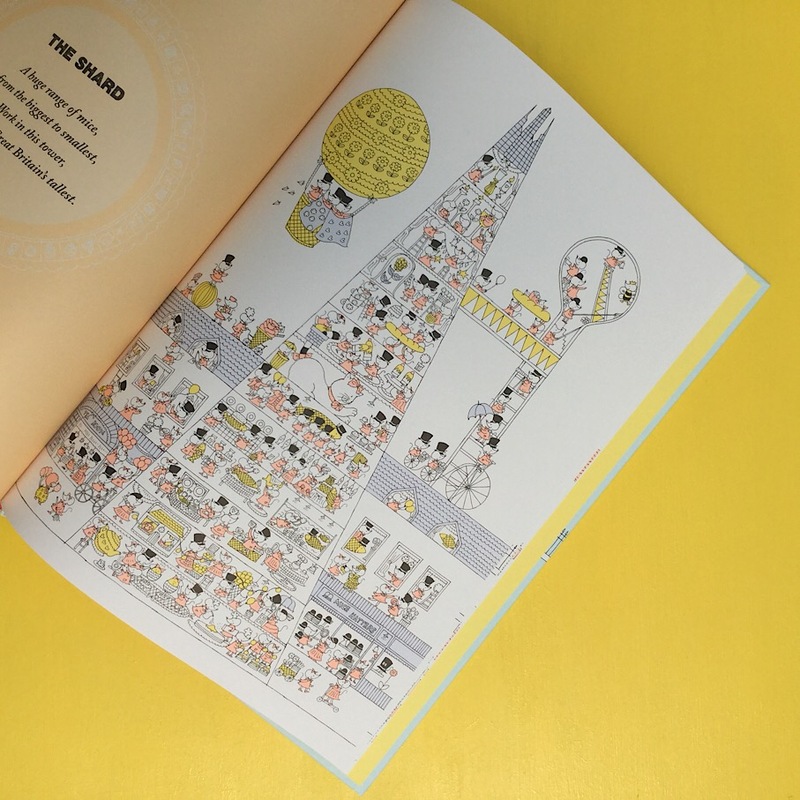 Detailed artwork, delicately coloured in soft pastel hues make this seek and find book a real treat for the eyes, one that will be revisited again and again.